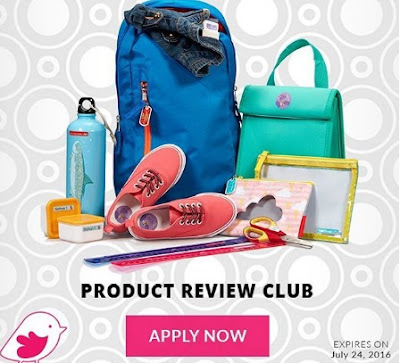 Chickadvisor has a new Product Review Club Offer! If you're a mom you might be interested in this one! Selected moms will be chosen to try out Mabel's Labels Back To School labels! If you're accepted into this campaign, you will be able to choose from the Little Kid School Combo (ideal for Pre-K and Kindergartners), the Ultimate Back-To-School Combo (ideal for elementary-age kids), or the Middle School Label Pack (great for older kids). Each combo of 108 durable labels includes a variety of sizes for every labeling need your child will have for his or her upcoming school year. To sign up, click on the link below to complete a short survey before July 24, 2016. For additional consideration, don't forget to share on Twitter, Instagram, or Facebook and tag your post with #MabelsLabelsBTS!